“I worked out HARD for 60 minutes today… it’s ok if I sit the rest of the day and take it easy.” Have you ever said this out loud, or to yourself? I am here to tell you, unfortunately, exercise does not negate the extended periods of sitting that most of us do. “Sitting is the new smoking” may be an exaggerated statement, but it gets the point across. It is time to reduce optional sitting in your life. Sitting only when necessary may be one of the best things that you can do for your health. Switch to a stand-up desk at work, if possible. 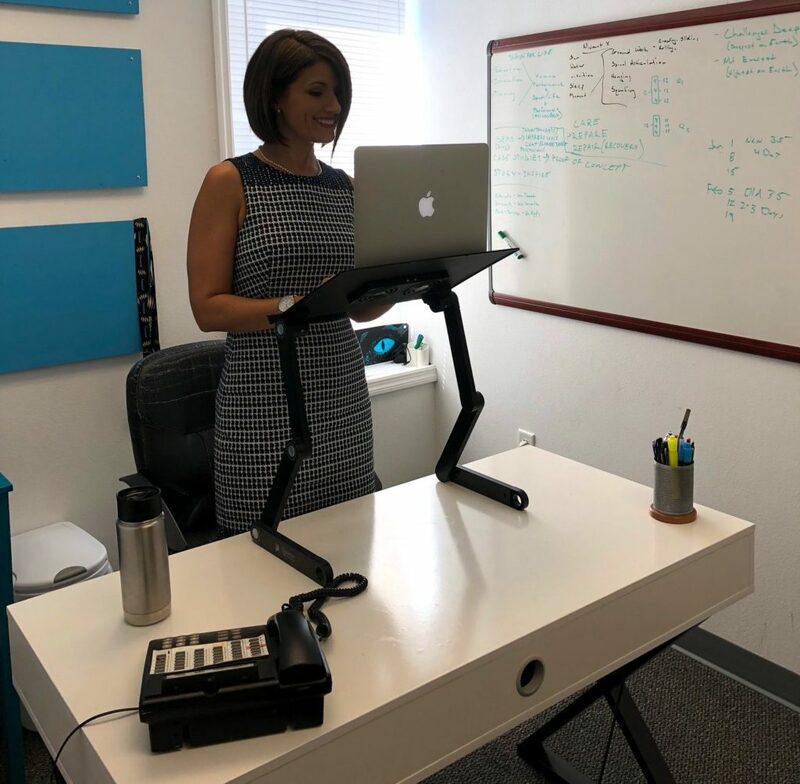 A makeshift standing desk will do! 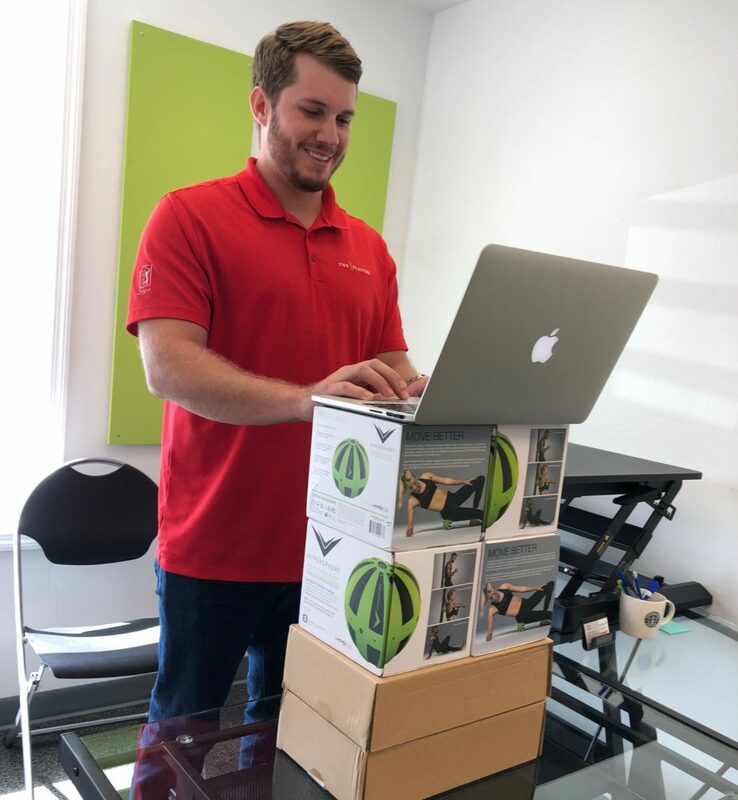 Use a few “banker boxes” to prop up your computer to standing level. Two words: Walking Meetings. Instead of sitting in an office, boardroom or coffee shop, suggest taking a walk around the building or down the street. The act of walking may lead to more creative thinking and time away from the chair. Look for ways to decrease leisurely sitting. Play with the kids or use time to stretch while watching TV; suggest catching up with a friend during a walk, rather than lounging at the pool; Move around the house while you check your text messages and emails on your mobile phone. Channel your inner minimalist. Is it time to clean up your workspace? Working in a clean, neat and organized environment may relieve stress and help you to think clearer. Items will be found easier, better impressions will be made to others, and productivity may increase with a well-kept area. Take five minutes today to clean up your desk and straighten your items. Over the next week, take five minutes each day to go through filing cabinets, drawers or any other area that has become cluttered. Use the five minutes as a mental break from emails and responsibilities! Invest in adequate office furniture and tools. Are you set up for success? Will the clutter reappear just a few days after cleaning? Consider purchasing a filing cabinet, an extra bookshelf or any other organizing tool to help. Have you ever arrived at lunch or dinner hungry? Maybe ravenous or lack of clarity on making the best food choices? When hunger takes over, we are not always our best selves. This is what snacking is for! Eating light, yet eating often, can help prevent mid afternoon slumps, overeating at meals, as well as control cravings. Insert a snack in between breakfast and lunch, and one between lunch and dinner. View a snack as a “mini-meal”. 50-200 calories is ideal. If you feel that you are not hungry for a snack, try to make your meals lighter. Keep non-perishable food items in your office – protein bars, trail mix or nuts, or beef jerky. 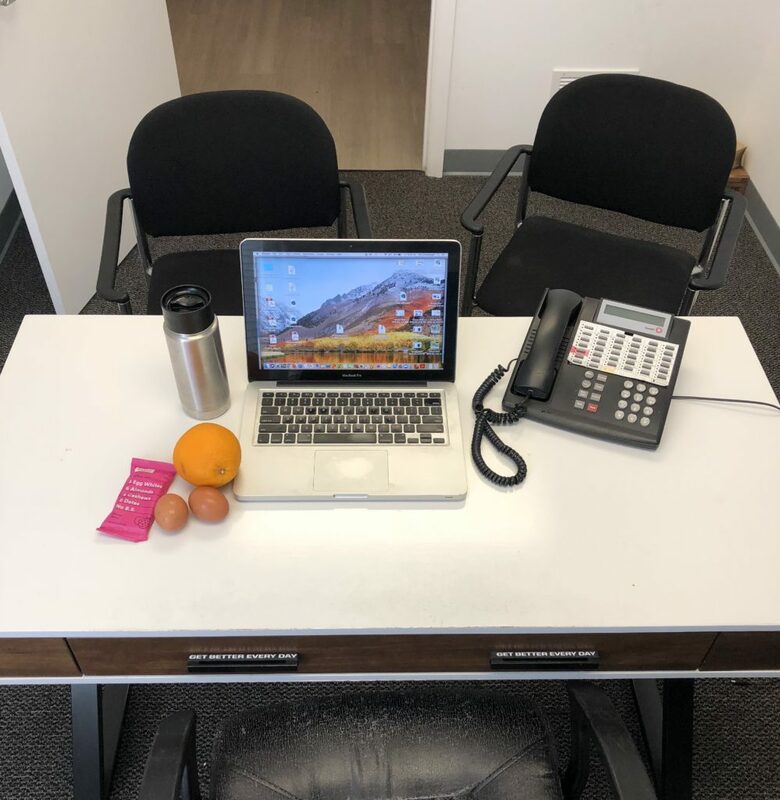 Keep the snacks in a drawer, or even in plain view sight, so you remember to grab and take to a meeting. On Monday’s take 4-5 greek yogurts, hard boiled eggs, fruit, or any other refrigerated snacks, and store in the breakroom fridge, to take the ease off planning and the morning rush.